I’m sure it was a very interesting lesson. Just to add here that yesterday I was discussing the e-mail of the angry mother-in-law with my friends and among us it didn’t seem so demanding after all. Maybe she was rude in the way she said it but most of her demands seemed common sense to us. 🙂 So there you have it, another cultural difference to explore relationships with in-laws! You know, I heard about the viral email, but I never did check it out! Now I know what it is was all about. Must have been a wild lesson 🙂 Tell me Chia, how did you start the lesson off? Did you read the article, did you ask the students to read it silently, or did you ask some of them to read it aloud to the class? Your anecdote of the Spanish was funny! Haha.The Spanish have this expression: cabeza cuadrada, literally square-headed. Chomping away at the plain rice – they must have thought you were a bad cook, preparing such a tasteless dish! I’ve found that practically ALL Europeans find it goes against their grain of eating habits to not pile their plate full when eating from a ‘shared dishes’ table. I always try to tell them if you mix too many flavours, you don’t get to taste any! It’s almost as though they’re afraid there won’t be any left for them! And, it’s doubly strange with the Spanish as they have their tradition of tapas, which are meant to be ‘picked at’ and shared. I then gave them 30 seconds to skim the email and decide whether the mother-in-law liked or didn’t like the future daughter-in-law. Then they read (silently to themselves) for more detailed understanding by counting the number of complaints there were in the email, and in pairs, explaining what they understood each complaint was about in their own words. I got them to do this by asking the question ‘What did the daughter-in-law do?’ Some of it was a bit more difficult to understand, so in the open class stage, where some weren’t clear, I concept-checked certain phrases, and scaffolded towards them understanding the gist of the complaint. Yeah, the Spanish mates did get me quite exasperated at that time. I said to my students that it was like me going to Italy and asking for the Bolognese sauce to be served first and then the Spaghetti after! I’ll tell you about this other strange thing I once saw. I was back in Singapore visiting family and went for the famous Singaporean specialty dish Chilli Crab. Of course, like any dish, you’d order one of it amongst other dishes (e.g. vegetables, prawns, chicken) and share it with your friends. I looked over and saw a table of 5 English tourists, each with a huge plate of Chilli crab in front of them and them trying to work through the dish with a bottle of Tiger Beer! It was hilarious! I think the owner of that restaurant must have thought all her Christmases had come at once when they ordered 5 Chilli crabs between them! What a profit she must have made! poured it all onto his own plate! Which part of China, Chris? That’s the first time I’ve heard of rice being eaten on its own, after the rest of the dishes. How intriguing! I’ve got friends from Beijing, and they don’t eat like that. I’ve seen Chinese films (and not just Hong Kong flicks) and people are always shown holding a bowl of rice on one hand while the other hand picks up food from other dishes, with chopsticks, to eat with the rice. Chris, I love your Star Trek story. I think how tolerant one is towards other’s habits depends on so many things. Some people, regardless of nationality, are just simply more open and adaptable and others find it difficult to understand that there could be a different way of doing and seeing things. BTW, I agree with Chiew with regards to most parts of China having the rice with the dishes. I am Singaporean Chinese, and all the dialect groups who have ancestry going back to different regions of China all eat their rice with the different dishes. The only time when the different courses are served separately is during wedding dinners and very special banquet. That could be why the fancy restaurants do it. If you don’t mind my asking, which part of China do you live in? When eating with family or friends, they’ll eat rice with the other dishes. When they eat lunch at work, it’s usually ‘gai fan’ which is something on rice (“gai” means cover and “fan” means rice). 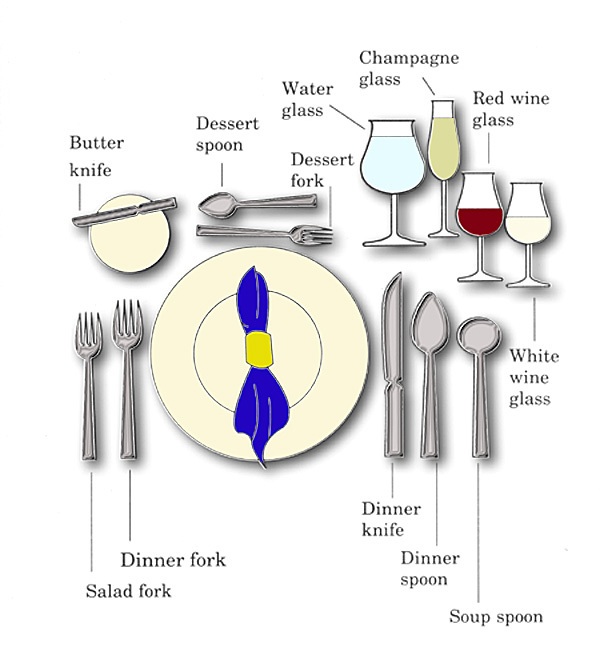 But when attending a formal or business lunch or dinner, the dishes will be served first so everbody can get down to business while they nibble on the dishes. At the end of the meeting, rice is served and this is a signal to everybody that the meeting (and meal) is coming to a close and everybody stops talking and focusses on eating up their rice. The host will call the waiter to pay the bill and the guests, especially the most senior guest, will make a big show of wanting to pay the bill instead but the host will insist and the guest will eventually accept and thank the host. The host will usually pass around cigarettes to the guests for one final smoke and toast of ‘baijiu’ before they all leave. If you’re not at the restaurant for a formal or business meal, you have to ask the waiter to serve the rice with the other dishes. So, in restuarants, especially those which are often used by business people, rice is normally served at the end of the meal unless you request otherwise. Having said all that, Beijing is in north China, where noodles and bread are normally the staple – rice is a southern thing. My wife is “old Beijing” and her family will eat noodles or bread buns more often than rice. …unless Chris was referring to ‘fried’ rice, which is a different kettle of fish. Since this already has its flavours, then it shouldn’t be mixed with other strong-flavoured dishes. The only time plain rich is served on its own is when one can’t afford anything else to go with it, or when one is too ill to consume anything else. Well yes, nobody eats plain rice alone unless they don’t have any choice – as you say Chiew, unless they are sick or impoverished. Just don’t be surprised if you don’t see the rice appearing until near the end of the meal, especially if you find yourself at a meeting amongst business people and/or government officials. On a similar note, I remember a course I did preparing Chinese students for a homestay in the UK. There were so many things to cover, such as what to say at breakfast and what kinds of things people talked about over dinner. I remember how amazed my students were by the idea of egg cups and breakfast cereal. I taught them what to do if somebody offers you something you don’t like, by asking “Do you have any…?” instead of saying “no, I don’t eat that” in reply to “Would you like some weetabix?”. Well, I’m already surprised, Chris! Actually, of course, I’d forgotten that the Northerners eat more flour-based food than rice-based, and that, in part, explains what you’ve been saying. I suppose it’s comforting to know that none of us was going round the bend! The other point I was chewing on was your mentioning formal/business meal a few times. Could it be that they serve plain rice at the end as a way of implying that they are well-off, that they can afford fancy dishes, that they don’t need rice? You know how they are on the issue of status over there, the ‘save face’ syndrome and all that… What’s your take? You’re dead right Chiew. Before I got my current job, I was a director of a language school and had to attend a lot of Chinese banquets with various government officials and business people. Any kind of process, whether it be getting a business license or signing a contract with a new client involved a big formal meal. When I was the host, I’d have to order some lavish dishes to give my guests ‘face’ as well as show off how well our school was doing (even if it wasn’t). I’d have to order some exotic dishes and definitely some seafood as this is the most expensive on the menu. As a host, you’d really lose face if, at the end of the meal, all the food had been eaten up; there should be some food left uneaten in the center of the table – that shows you have treated your guests well. I was relieved when I moved on from that job as I was getting tired of all the meals, drinking and smoking that went on at these banquets, even though I don’t smoke! A friend of mine works in sales in south China and he has to go out for meals and drinking for business almost every night. It’s a great way to learn different facets of the local culture – I definitely learned a lot – but it’s quite hard on the family. Thanks Chris, for doing the research and asking your colleagues. That’s really interesting coz I’ve never heard of plain rice being served at the end of the meal. Even at a wedding dinner, we are offered rice with the courses and at the end, just before desert, that might be a fried rice or fried noodles dish… I think, an alternative explanation to Chiew’s might be that the businessmen are just snacking on the dishes while discussing business and talking shop, and aren’t really having a meal as such, and when business is done with, the rice is served as a signal to start the meal proper? Yes that course was very interesting. I remember teaching them the vocab for how food is prepared and the basic ingredients (“it’s lamb chop marinated in mint sauce and then grilled”) so my Chinese students could ask about items on a menu if they ever ventured into a non-Chinese restaurant. Another thing I did (a tip from a friend) was give them a list of foods they should try while in the UK (like stilton cheese, marmite, cornish pasty etc) and with a space next to each item for them to add comments and give a rating. We had some classes when they returned from the UK and they all said stilton cheese was like “stinky tofu” in that they didn’t like the smell but enjoyed the taste. Why give you dinner to your enemy, Rakesh? by the way, what Chris said about rice being served last in China is true. I remember on my trips to Beijing as well as Shanxi, that was the case for all our meals. Seems that typically rice or noodles or other forms of starch are considered as “filler” foods… the dishes are typically served first and guests are expected to enjoy the tastes of the dishes, before filling your gut with rice/ noodles after that. My group were all Singaporean Chinese and we found it so wierd to eat the dishes without the starch that we always had to ask for it to be served together, if not first. Next Next post: A Singaporean Bimbo in London – a newspaper article I wrote in 2000.